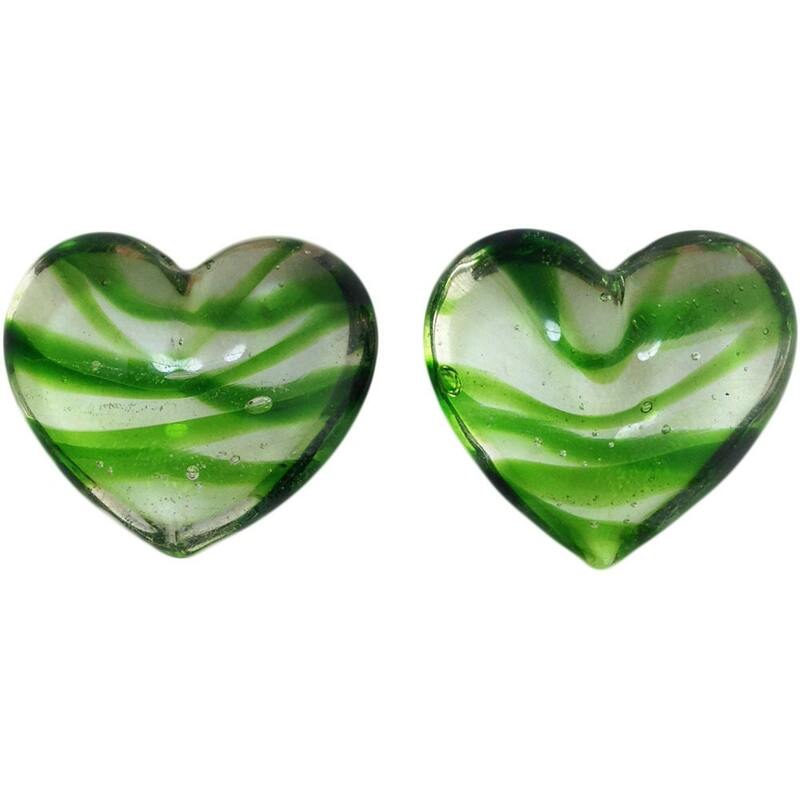 Characteristics: These hearts are clear with green stripes. They are perfect for a wire wrapping project. 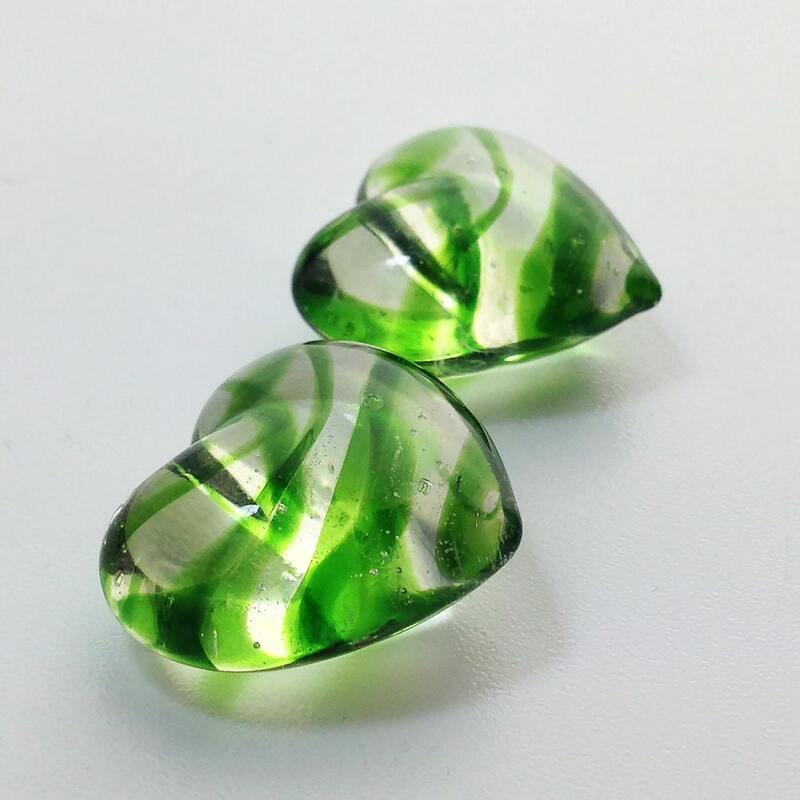 Color: Clear w/ Dark Green Stripes. -Please be aware that these have NO HOLES. -Each heart is unique. Striping varies from piece to piece. Smooth transaction and high quality product.